Kenyan scientists have proposed eating insects to help curb food insecurity and malnutrition in Africa. 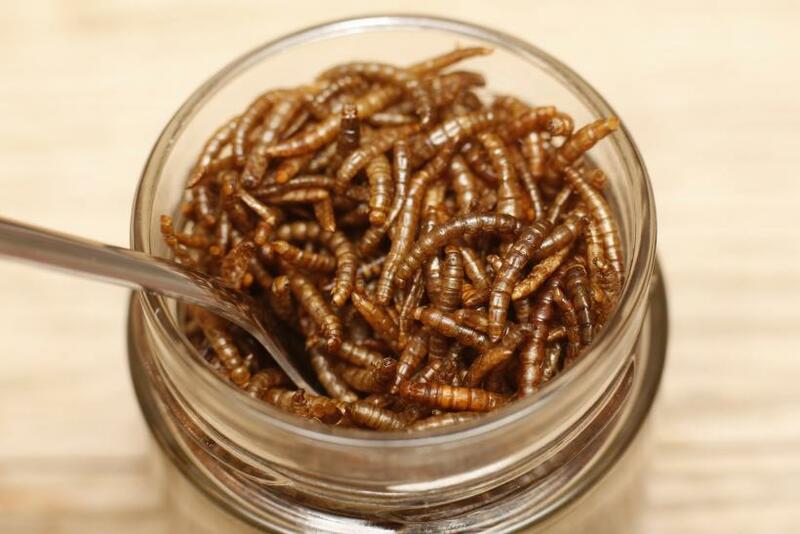 Sunday Ekesi, principal scientist at the International Center of Insect Physiology and Ecology in Nairobi, said Wednesday edible species of caterpillars, crickets, grasshoppers, stink bugs and even termites are highly nutritious and can be harvested, packaged and sold in markets. Food insecurity is rampant across the vast African continent. In Kenya alone, some 1.5 million people needed food assistance in 2014, the U.S. Agency for International Development reported. Scientists say putting bugs on peoples’ plates is a nutritional, economically smart and eco-friendly solution. Mealworms, for instance, provide as much protein, vitamins and minerals as fish and meat. Small grasshoppers contain just as much protein as lean ground beef, with less fat per gram, National Geographic said. A recent study by the International Center of Insect Physiology and Ecology found the stink bug is also rich in nutrients and antioxidants, making it a potentially vital means for improving food and nutritional security as well as the incomes of rural African communities. The insect is widely found and eaten in parts of southern Africa. But the study, which was published Jan. 5, emphasized the need for improved care in the harvesting and storage of the edible stink bugs to ensure safety and nutritional value. “Edible stink bugs are usually collected from tree branches and are then killed using either warm water or heat, before being stored in woven wooden baskets or used grain bags, for later consumption or sale. We found that these traditional harvesting and storage practices of the insect can lead to fungal contamination,” researchers warned in the paper. A study funded by Western governments and the World Bank group will investigate the sustainable use of insects as food for humans and feed for poultry, fish and other farmed animals. The multimillion-dollar study also will explore potential allergies that might prevent people from eating insects, the Daily Nation reported. The process of harvesting, farming, packaging and selling edible insects could also create thousands of jobs for impoverished Africans who lack a secure source of income. Raising and harvesting insects also requires much less land than cows, pigs and sheep. Not to mention, bugs emit fewer greenhouse gases than most livestock. Entomophagy, the consumption of insects as food, already is practiced in a number of African countries. Food advocacy group Aspire Food Group launched a project in 2014 in Ghana to address food insecurity and malnutrition in the West African nation where more than a million people lack adequate access to food. The group is now operating Ghana’s first commercial insect farm, the Guardian reported.